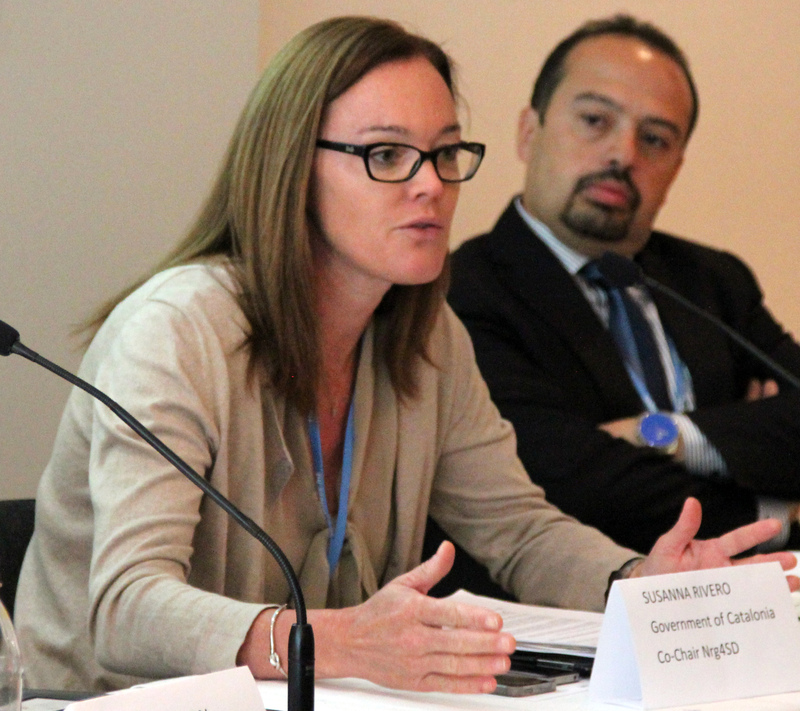 The following side events were covered by ENBOTS on Thursday, 11 June 2015. IISD Reporting Services, through its Earth Negotiations Bulletin on the Side (ENBOTS) Meeting Coverage, is providing daily digital coverage from selected side events at the Bonn Climate Change Conference - June 2015. Helén Axelsson, Swedish Steel Producers' Association, presented new technologies including advanced high strength steel for which 1Mtonne can replace 1.3 Mtonne of conventional steel, resulting in lower emissions per product. Magnus Jiborn, Lund University, said we should consider not only how a certain export commodity was produced but also the emissions of an alternative production process it replaces. Tobias Dan Nielsen, Lund University, said the TCBA method of accounting was more nuanced than traditional carbon footprint accounting. Chair Karin Bäckstrand, Stockholm University, introduced the event. Magnus Jiborn, Lund University, presented on a new methodology for accounting for emissions, ‘TCBA,’ which is a “technology-adjusted” consumption-based accounting (CBA) measure. He stated that this methodology fulfils three conditions that neither standard CBA nor territorial accounting systems meet: countries should be accountable for factors they can influence; countries should not be rewarded for behavior that increases emissions; and the sum of national emissions should equal global emissions. He highlighted that fulfillment of these conditions enables national greenhouse gas accounting to reflect how a country’s behavior affects global emissions, providing useful feedback for policymakers. Tobias Dan Nielsen, Lund University, talked about the implications of TCBA measures for allocating responsibilities on a global level, saying it was an innovative idea with the potential for several positive impacts, including: dealing with carbon leakage and double counting; providing incentives for decision makers to make improvements in specific sectors based on TCBA analyses; bringing trade into the discussions; and “encouraging no backtracking” due to the basis of the measure on global average technological advancements which will encourage increased ambition as this average increases. 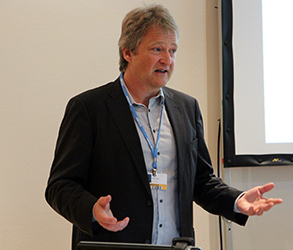 Daniel Engström Stenson, Forum for Reforms and Entrepreneurship (FORES), highlighted the importance of caution in the usage of the term “carbon leakage,” since increasing trade-related emissions can simply be the result of increased consumption of goods. He warned against placing discussions on new accounting methods into the climate negotiations, noting that this might add more complication to an already complex process, but encouraged further discussions outside of the negotiating context, observing the value of TCBA in allowing countries to assess their own domestic policies. Participants then discussed, inter alia: the drivers of motivation for the steel industry to reduce emissions, including the EU Emissions Trading System; rewarding countries for having well developed infrastructure compared to concerns about the impact of TCBA on technology-poor developing countries; drivers for efficiency improvements of products in industry; and comparative advantage at the local level. 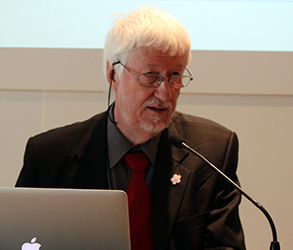 Andreas Fischlin, Co-Facilitator of the Structured Expert Dialogue on the 2013- 2015 Review, said that the imperatives of achieving the long-term global goal on emissions reductions are explicitly articulated and at our disposal but require decisive action. 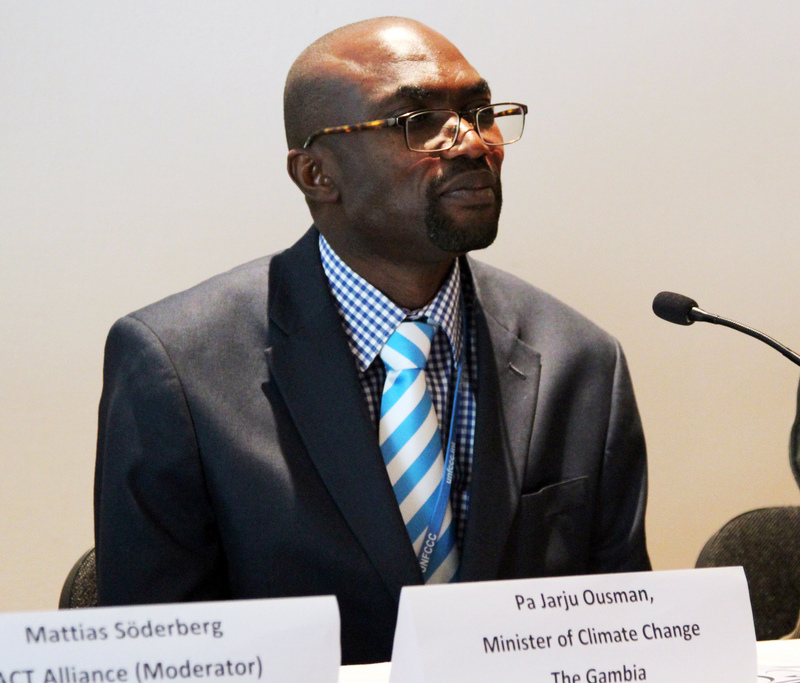 Pa Ousman Jarju, Minister of Climate Change, Water and Wildlife, the Gambia, underscored that the agreement must address loss and damage, and be durable, based on integrity, applicable to all, ambitious, and inclusive of all the Durban elements. 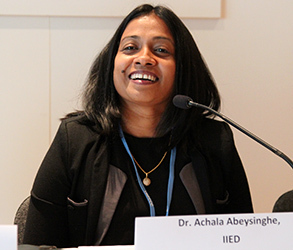 Achala Abeysinghe, International Institute for Environment and Development, underlined the need for COP decisions, particularly on compliance, to balance the Paris agreement and permit it to be implemented post-2020. This session was moderated by Mattias Söderberg, ACT Alliance, who stressed that the Paris agreement must represent the needs of the poor and vulnerable. Pa Ousman Jarju, Minister of Climate Change, Water and Wildlife, the Gambia, stressed that a Paris agreement cannot be balanced without the full participation of Least Developed Countries (LDCs), and called for the agreement to institute a legally binding protocol containing ambitious actions for all countries, but differentiated according to national circumstances. 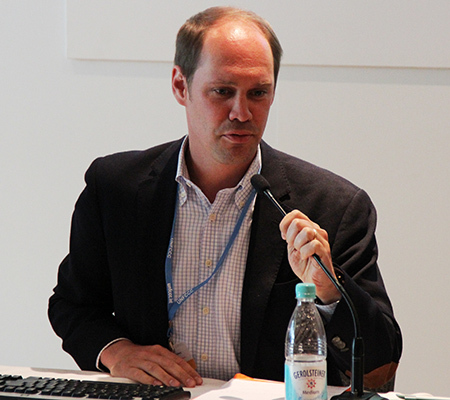 Andreas Fischlin, Co-Facilitator of the Structured Expert Dialogue on the 2013- 2015 Review, expounded on the “10 Commandments” of the Structured Review, noting that, inter alia: the long-term global goal defined by temperature limits serves its purpose well; assessing the adequacy of the long-term global goal implies risk assessment and value judgments on a global, regional and national level; the 2˚C limit should be seen as a defense line and not a guard rail; limiting global warming to below 2˚C is feasible and will bring about co-benefits, but there are challenges to achieving this; and while science on the 1.5˚C limit is less robust than the 2˚C limit, efforts must be made to push the defense line as low as possible. Achala Abeysinghe, International Institute for Environment and Development, spoke about the legal form and nature of the Paris agreement, stressing that a legally binding agreement will assure the most vulnerable countries that the world is serious about addressing climate change. On the effectiveness of the legally-binding agreement, she stressed that it must include a long-term global goal on the reduction of emissions and a pathway to achieve this goal, as well as 5-year commitment cycles for effective implementation. She also called for a robust review process that would ensure upward adjustments to achieve the long-term global goal on emissions. Petter Lydén, Diakonia, underlined equity and fairness as the core of a balanced Paris agreement, reiterating that both science and legal form will be the pillars of any equitable agreement. Commenting on the need for review, he highlighted that the UNFCCC could learn lessons from the Human Rights Council model, in which the review proposes recommendations for each state, without the endoresment of states. He noted that this allows the Council to make stronger recommendations. In the discussion, participants considered, inter alia: the value of a human rights-based approach to spur climate action; differentiation as the “elephant in the room” when considering the ambitions contained in the Intended Nationally Determined Contributions; the legal nature of the INDCs; and the level of readiness to address the hurdles to implementation. Yunus Arikan, ICLEI, said that while Lima united all parties to tackle climate change, Paris must unite all stakeholders. Joana Setzer, nrg4SD, moderated the session and highlighted the role of subnational governments in increasing ambition on climate action. 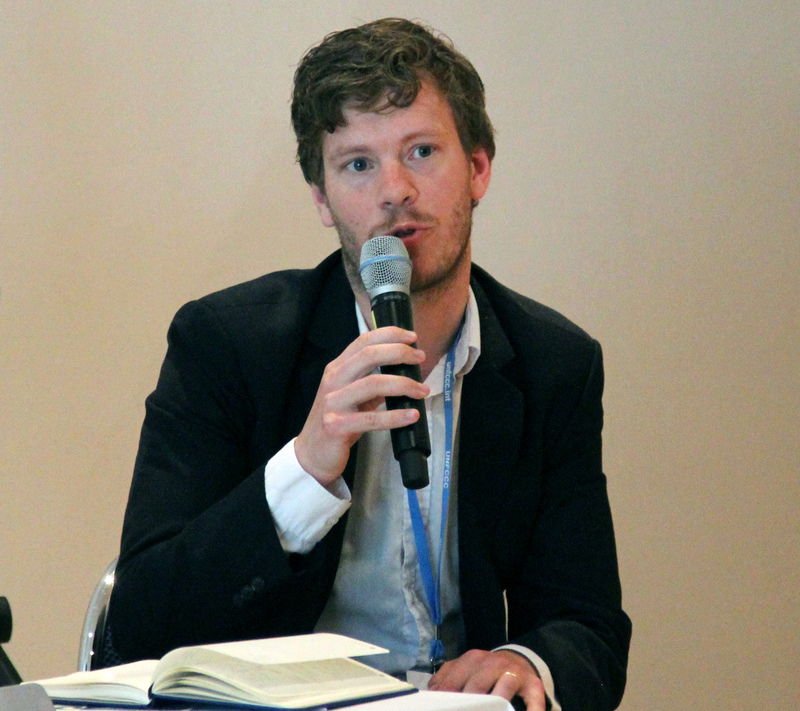 Paul Simpson, Carbon Disclosure Project (CDP), said that the Non-state Actor Zone for Climate Action (NAZCA) Action Portal launched at COP 20 had been capturing commitments made by non-state actors and noted the manner in which COP 21 would anchor this effort in the Paris agreement was an open question. He said that the role of non-state actors in climate action had become more prominent given that the total sum of commitments from parties ahead of Paris will probably not be sufficient to keep warming below 2°C. He also noted the need for better case studies that can capture challenges faced by cities. Calling the UN Secretary-General’s Climate Summit a milestone in the recognition of subnational efforts on climate change, Yunus Arikan, ICLEI, highlighted how local and subnational actors had been able to come together. Identifying integration of local efforts into national and global processes as a key issue, he said that the Ad Hoc Working Group on the Durban Platform for Enhanced Action’s workstream 2 (on pre-2020 mitigation action) could provide such space. 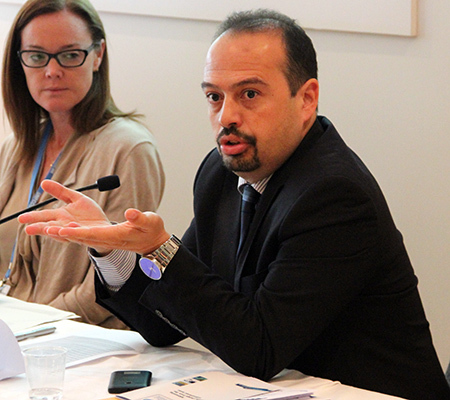 He also said that actors at the UN level need to incentivize subnational entities to continue reporting their data. Susanna Rivero Baughman, Co-Chair, nrg4SD and government of Catalonia, Spain, highlighted Catalonia’s carbon disclosure efforts and identified benefits of joining the Global Compact, including: fostering action towards and beyond COP 21; demonstrating leadership by publicly showcasing initiatives and actions undertaken; and accounting and evaluating emissions and mitigation options. She also discussed challenges including: the availability of disaggregated data; attributing specific risks to particular actions on adaptation; and inter-ministerial coordination. During discussions, participants considered: the role of built infrastructure and energy efficiency in contributing to low carbon development; examples of pilot projects from Latin America; auditing mechanisms to bring accountability to commitments; the possibility of the UNFCCC adopting a work program addressing local governments and subnational entities; carbon pricing efforts by subnational actors; vertical collaboration between subnational entities and national governments; and the benefits and challenges of integrating local efforts into the UNFCCC. 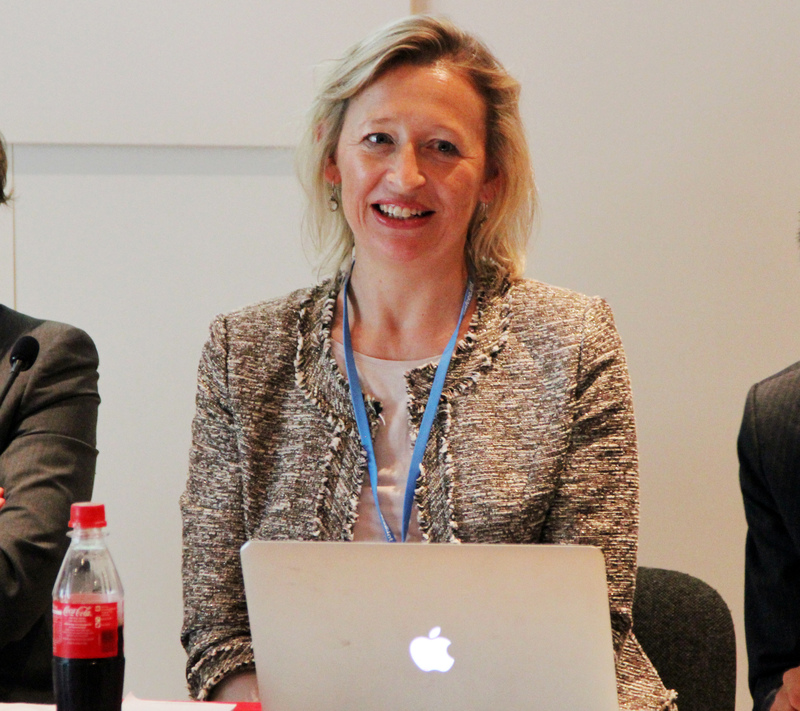 Joana Setzer, nrg4SD, moderated the session. 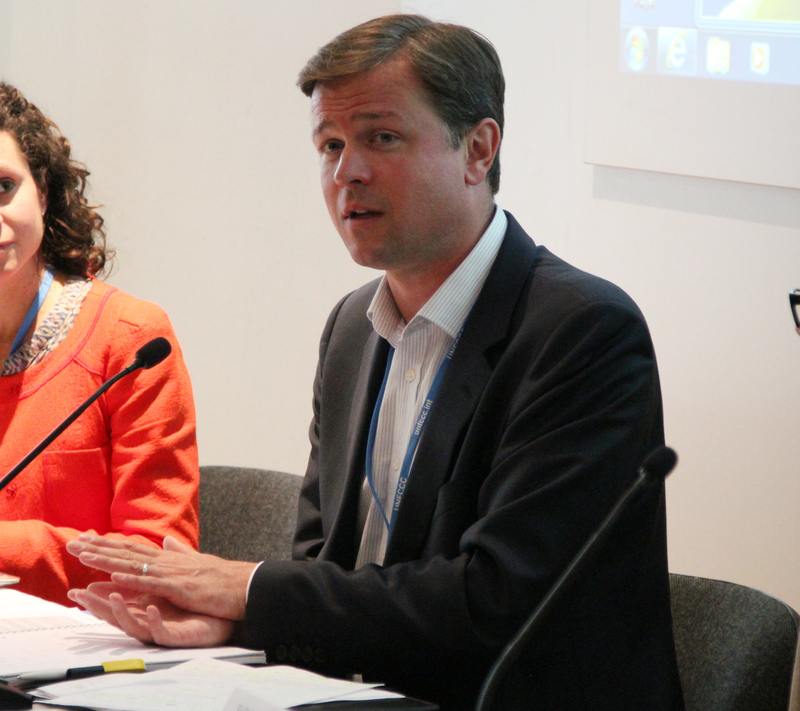 Paul Simpson, CDP, said the role of non-state actors in raising ambition was increasingly being recognized in the UNFCCC process. Ministry of Ecology, Sustainable Development and Energy, France. 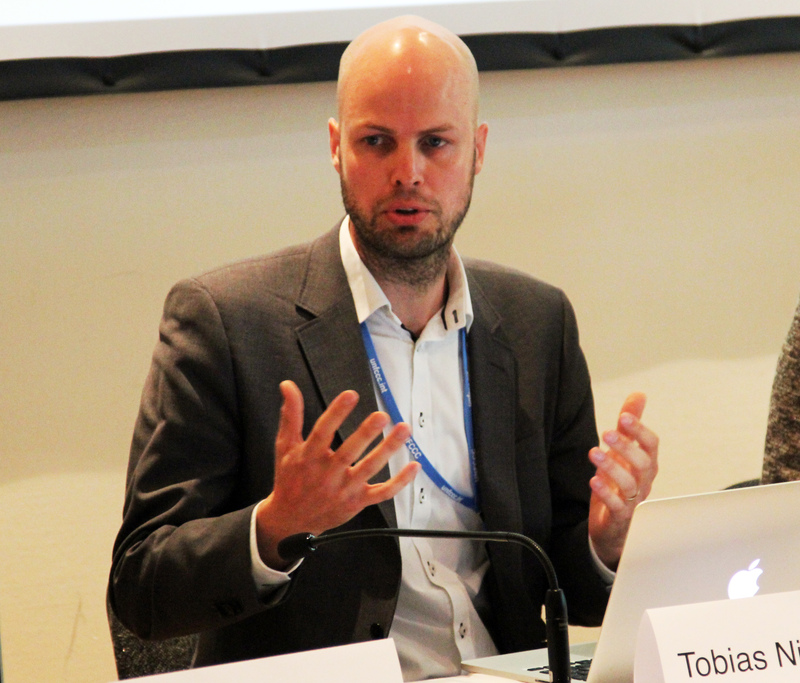 Philipp Pattberg, IVM-VU, hoped the Paris agreement would meaningfully reflect the transformational role of non-state actors in climate governance. 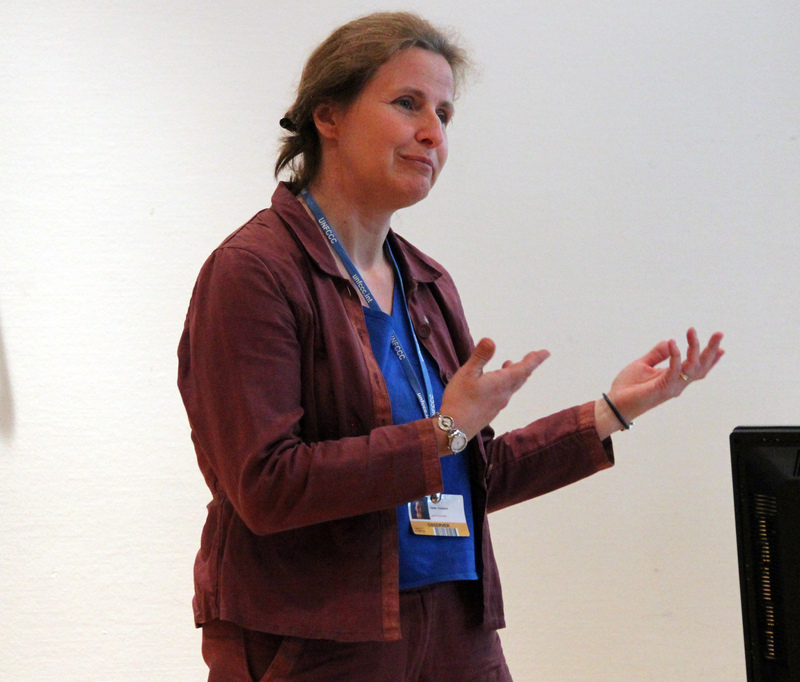 Karin Bäckstrand, Stockholm University, presented on the role of legitimacy and accountability in the context of non-state actors in UN climate diplomacy. Pointing to the broad transformation of climate politics, Philipp Pattberg, IVM-VU, stressed the need to understand the engagement of cities, businesses, and multistakeholder collaborations in climate change. He highlighted their potential to: close the ambition gap; adjust the domestic incentive structure to support climate policies; and open up climate politics to a broader range of actors. He identified the need to understand: the relevance of key actors; impacts on fairness; and the extent of tangible results. Oscar Widerberg, IVM-VU, presented results on understanding how the groundswell of cities, companies, and multistakeholder collaborations could fill the emissions gap. He noted that these initiatives: cover a large share of global greenhouse gas emissions; are dynamic, innovative and experimental; and are collected in various registries. He noted, however: varying ambition levels; weak monitoring and reporting; and numerous accounting frameworks. He underlined the need to: identify progress and avoid green-washing; close the emissions gap with additional reductions; and ensure fair, equitable, and efficient solutions. Karin Bäckstrand, Stockholm University, spoke on the need to assess the accountability of non-state actors, stating that in the intergovernmental context legitimacy is informed by two values: effectiveness and procedural legitimacy. She presented research on the legitimacy of UNFCCC constituencies, both in terms of their implementation of democratic standards and also in the context of their own perception of democratic legitimacy. She highlighted key findings, including: the varying extent of accountability measures between constituencies; agreement that the constituency system has increased public participation; and a consensus among constituencies on the importance of procedural or democratic values. Sander Chan, German Development Institute, spoke on bridging the gap between research and policies. He highlighted the “good news” of the groundswell of climate action, pointing to the emergence of smarter climate governance, but also noted that further work needs to be done to make research findings applicable in the context of the UNFCCC. He underlined the importance of learning lessons and encouraged greater consideration of the long-term continuation of initiatives such as the Lima-Paris Action Agenda, noting that history shows examples of other promising initiatives that have ultimately been ineffective. 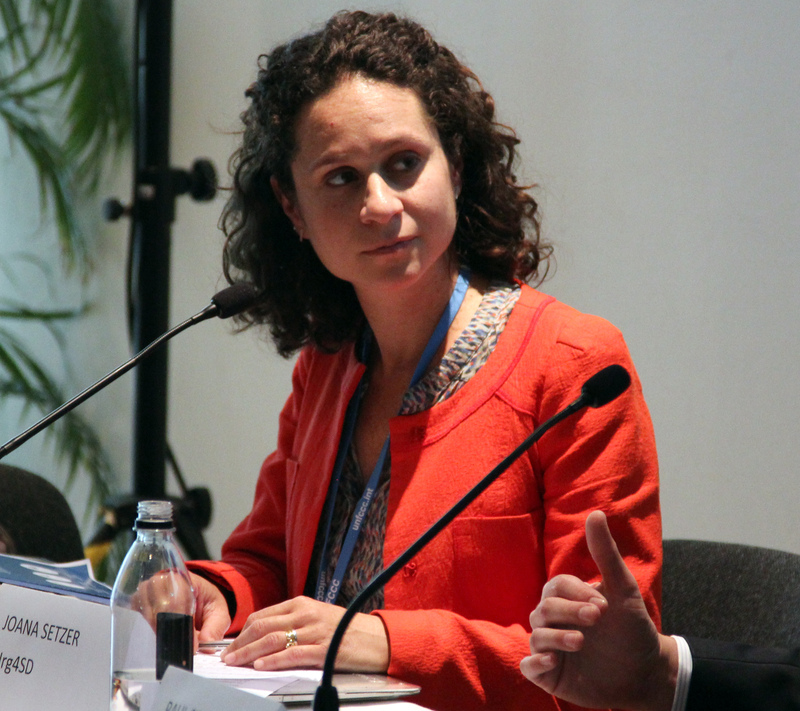 Underlining that COP 21 intends to further the Lima-Paris Action Agenda for non-state actors, Veronique Massenet, Ministry of Ecology, Sustainable Development and Energy, France, outlined priorities for the post-COP period including the need for cooperative initiatives on climate change to accelerate their actions; the importance of institutions leading thematic areas; the need for an institution to govern climate in the post-2020 implementation period; and how to engage all stakeholders in implementation. Moderator Daniel Engström Stenson, FORES, invited discussions, during which participants considered, among others: linkages between the negotiations and actions by non-state actors at COP 21; and the need to consider smart commitments that are measurable. 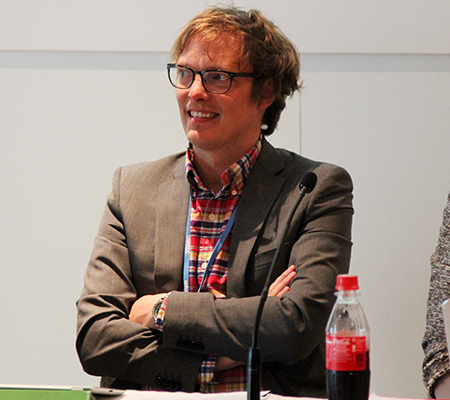 Daniel Engström Stenson moderated the discussion. Oscar Widerberg, IVM-VU, presenting results from mapping exercises, noted that most of the cities taking action on climate change were located in the North. The Earth Negotiations Bulletin on the side (ENBOTS) © <enb@iisd.org> is a special publication of the International Institute for Sustainable Development (IISD). This issue has been written by Rishikesh Ram Bhandary, Tallash Kantai and Gillian Nelson, Ph.D. The Digital Editor is Mike Muzurakis. The Editor is Dan Birchall <dan@iisd.org>. The Director of IISD Reporting Services is Langston James “Kimo” Goree VI <kimo@iisd.org>. Specific funding for coverage of side events through ENBOTS has been provided by the Kingdom of Saudi Arabia. The opinions expressed in ENBOTS are those of the authors and do not necessarily reflect the views of IISD and funders. Excerpts from ENBOTS may be used in non-commercial publications only with appropriate academic citation. For permission to use this material in commercial publications, contact the Director of IISD Reporting Services at <kimo@iisd.org>. 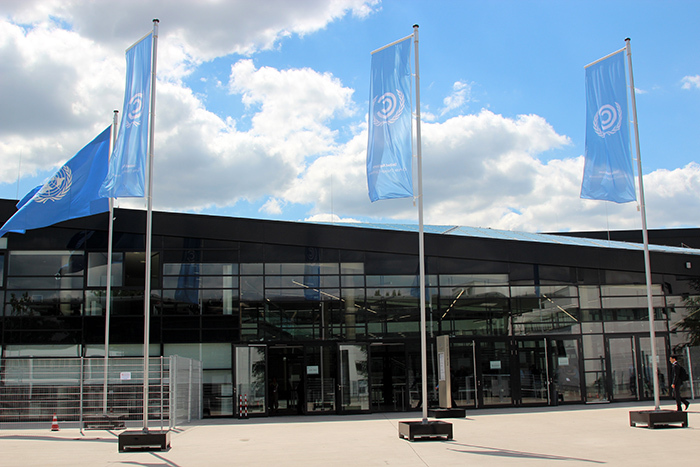 Electronic versions of issues of ENBOTS from the Bonn Climate Change Conference - June 2015 can be found on the Linkages website at http://enb.iisd.org/climate/sb42/enbots/. The ENBOTS Team at the Bonn Climate Change Conference - June 2015 can be contacted by e-mail at <tallash@iisd.org>. IISD Reporting Services is grateful to the many donors of the Earth Negotiations Bulletin (ENB) and recognizes the following as core contributors to the ENB: the European Union, the Finnish Ministry for Foreign Affairs, the German Federal Ministry for the Environment, Nature Conservation, Building and Nuclear Safety (BMUB), the International Development Research Centre (IDRC), the Japanese Ministry of Environment (through the Institute for Global Environmental Strategies - IGES), the New Zealand Ministry of Foreign Affairs and Trade, the Kingdom of Saudi Arabia, SWAN International, Government of Switzerland (the Swiss Federal Office for the Environment (FOEN), the Swiss Agency for Development Cooperation (SDC), and the United Nations Environment Programme (UNEP). Funding for translation of the Bulletin into French is provided by the Government of France, the Wallonia, Québec, and the International Organization of La Francophonie/Institute for Sustainable Development of La Francophonie (IOF/IFDD).